You can't use a VM running on Nutanix hypervisor as a RAS template - it's just not displayed in Virtual Guests List window. This VM was used as a template in the past. It's already marked as a template, therefore it's hidden in the dialog. 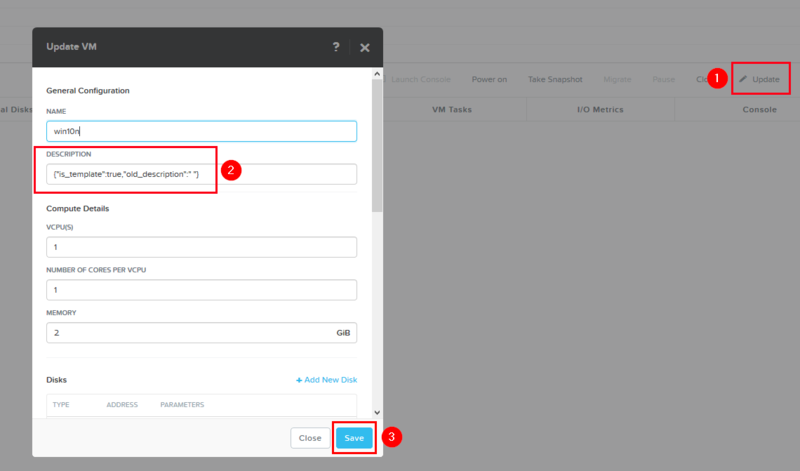 Refresh the list of VMs in RAS. The VM will appear there.